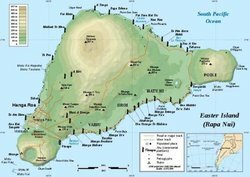 Easter Island is one of the most isolated islands on Earth (located 3,700 km (2,300 miles) off the west coast of Chile) with a 5 hour flight to get there. 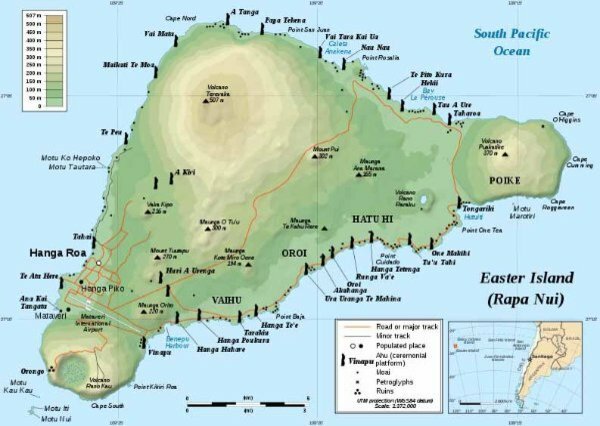 Early settlers called the island "Te Pito O Te Henua" (Navel of The World). Officially a territory of Chile, it lies far off in the Pacific Ocean, roughly halfway to Tahiti. 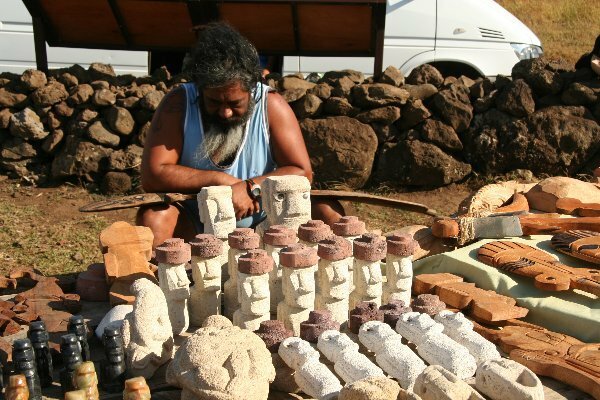 It is most famous for its enigmatic giant stone statues, built centuries ago, which reflect the history of the dramatic rise and fall of the most isolated Polynesian culture. 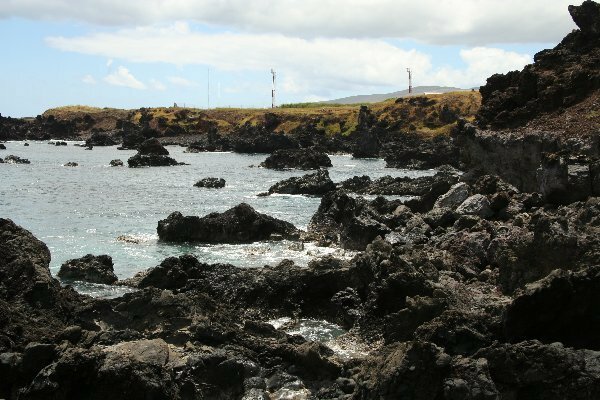 This bit of triangular land, which was born in the Pacific Ocean as a result of consolidated lava and ash from three volcanoes (now dormant volcanoes), keeps in its coasts the most advanced Polynesian culture. It is important worldwide as the largest open-air archeological museum, UNESCO World Heritage Site. It is also one of the most mystifying places on Earth, possessing a history that remains as unclear as it is evocative. 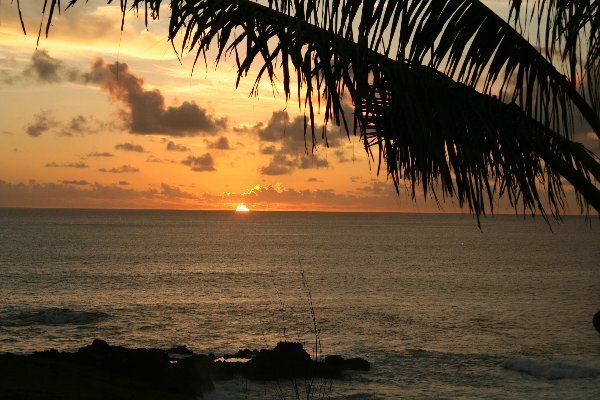 Rapa Nui National Park protects the majority of the important places. 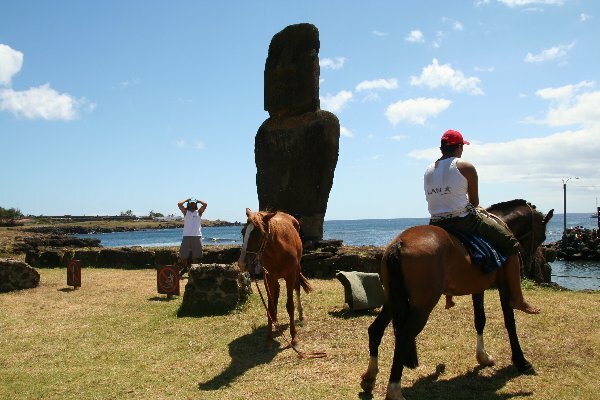 The Moai megaliths attract scientists and scholars from all over the world who try to discover the way the natives transported those sculptures, which were 250 – 300 tons each, from the reservoir to their final place on the coasts. Like those huge basalt sculptures, its hieroglyphic script is also a non-deciphered mystery. 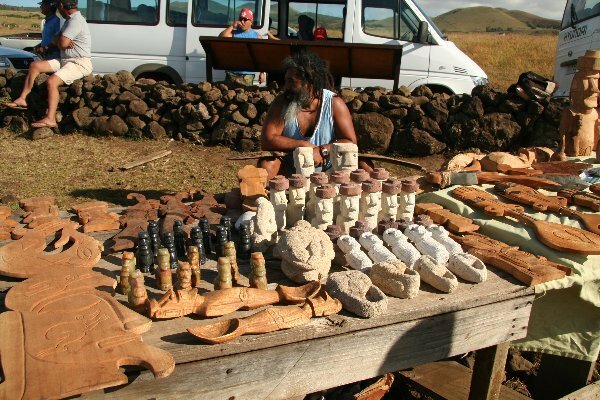 The past of Rapa Nui seems to have seesawed from ancestor worship, monument building and population growth, to deforestation and food shortages, feudalism and in some cases even cannibalism, and tells about great astronomic knowledge. There are around 25 restaurants catering to tourists on the island. 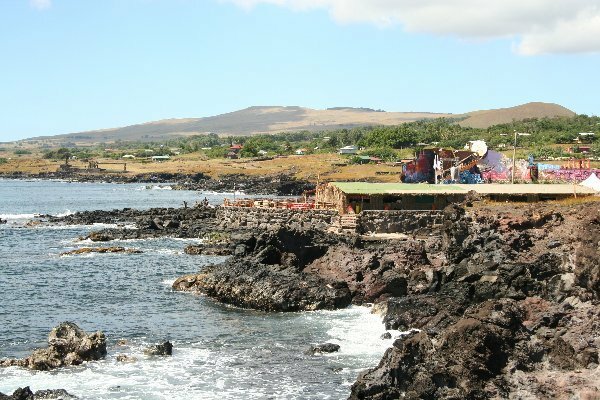 A few can be found close to the dock in Hanga Roa, with a few others scattered in the surrounding areas. 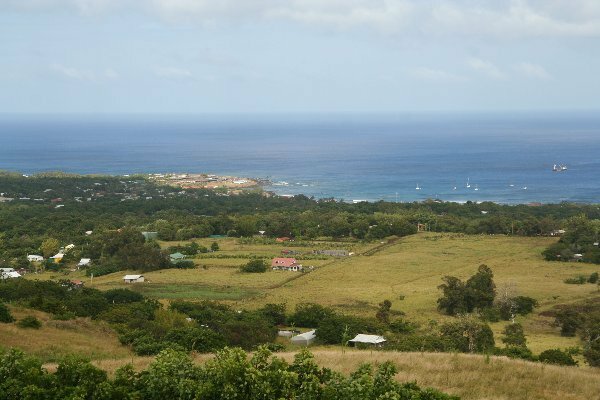 Menus tend to be limited, as most of the food on the island needs to be imported. The range of fish is considerable but does tend to arrive overcooked and dry. Pisco, a hard alcohol made from fermented grapes, is the unofficial drink of the island. Try a pisco sour, which is pisco mixed with lemon juice. Another common cocktail is the piscola - pisco and coke. Drinking pisco straight is possible, as it has less of a kick than Vodka, although Chileans would not advise it. This important festival happens between January and the first fortnight of February. 2 or 3 young women must compete with each other and the winner is declared queen. They are supported by their clan, families and friends, who through their participation and winning in the demanding artistic, sports and cultural events, gain points for the overall score of the young woman. The winner has the highest score. The participation is massive – we watched the dancing with some 180 dancers on the stage for each candidate. 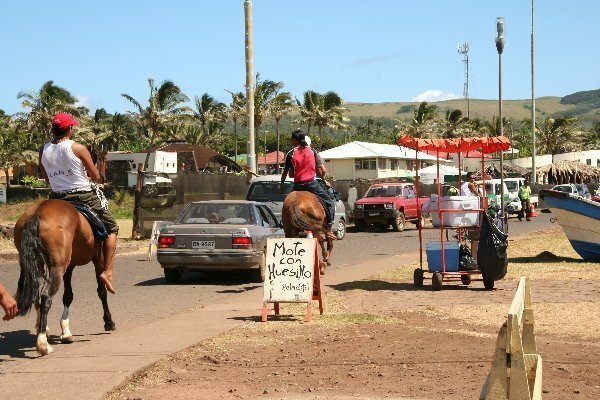 The biggest tourist attractions on Easter Island are, of course, the archaeological Moai which are often placed upon ceremonial platforms and burials called Ahu. 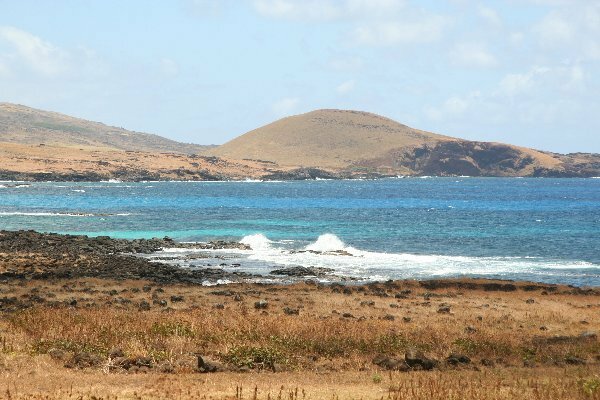 The sites, which can be visited for free (with one exception), are mostly found along the coastline of the island. 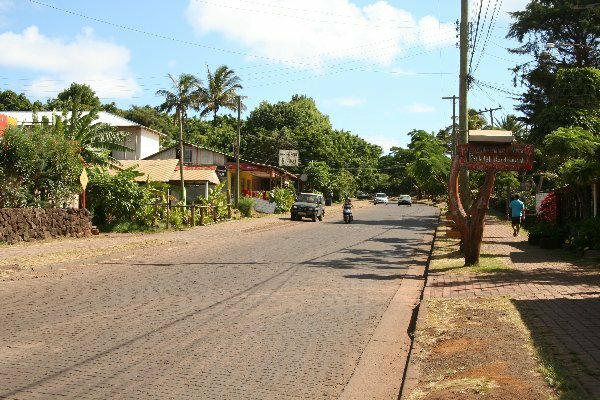 Each village typically had an ahu if not several moai, and thus on a drive around the south coast of the island, every mile contains several sites where you might see ruins. 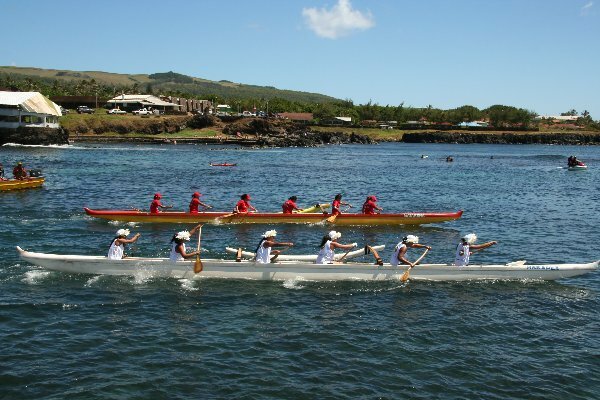 Two exceptional sites are the volcanic craters of Rano Kau and Rano Raraku. 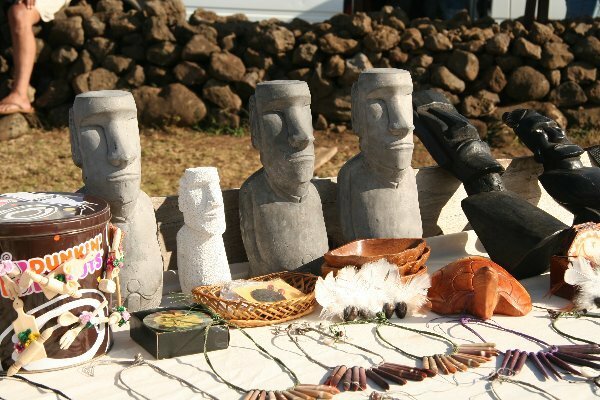 The slightly inland quarry at "Rano Raraku" is where the moai carvings were born, out of the hillside of the volcanic rock where hundreds of labourers must have carved full-time. This 300 foot volcano remnant provided the stones for the great figures where you can see various stages of the carving, as well as scattered partially-finished figures. A climb to the left side of the crater, over the top, and into the bowl, is well worth it. Similarly, Rano Kau is the remains of a volcanic cinder cone, which like Rano Raraku, is filled with fresh rainwater and has a mottled unearthly appearance that is breathtaking. 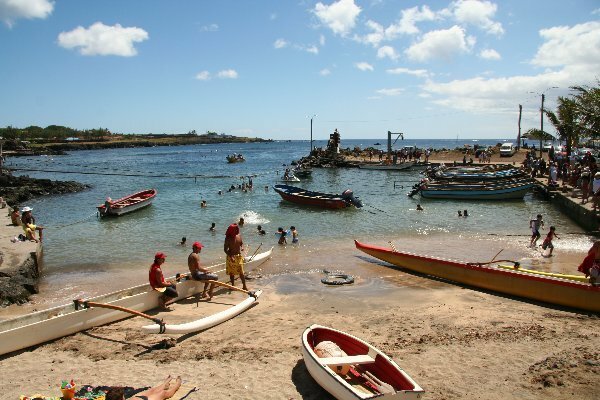 Easter Island features two white sand beaches. 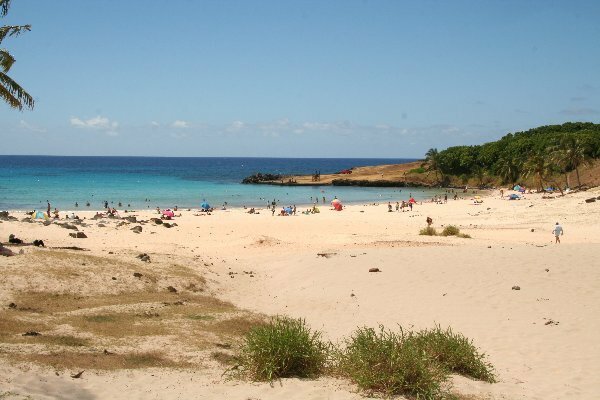 Anakena, on the north side of the island and the second beach is a gem so hidden, it doesn't even have a name. 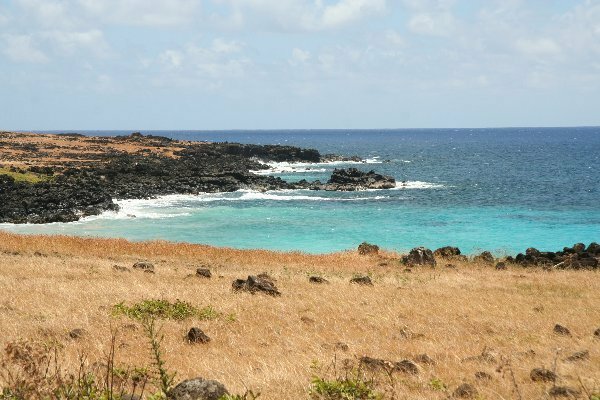 Found along the southern shore of the island near Ahu Vaihu (along the road from Hanga Roa to Ahu Akahanga), this beautiful and desolate beach is much larger than that at Anakena and is surrounded by breathtaking cliffs. An often overlooked but particularily fascinating aspect of Easter Island is its extensive cave systems. While there are a couple of official caves that are quite interesting in their own right, there is also real adventure to be had in exploring all of the numerous unofficial caves on the island, most of which are found near Ana Kakenga. While the openings to most of these caves are small (some barely large enough to crawl through) and hidden (amid a rather surreal lava strewn field that has been likened to the surface of Mars), many of them open up into large and inhibitingly deep and extensive cave systems. Also worth a stop is the Rano Kau. This is a Chilean National Park site, so you will have to pay an entry fee to really look around. Even without entering the park, there is a great view of most of the island from this vantage point. 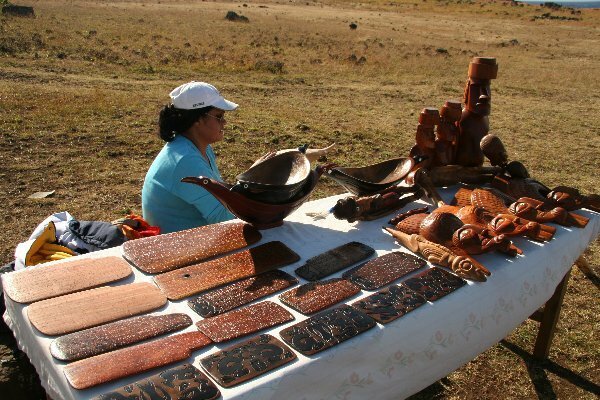 Local handicrafts are for sale at most of the historical sites.